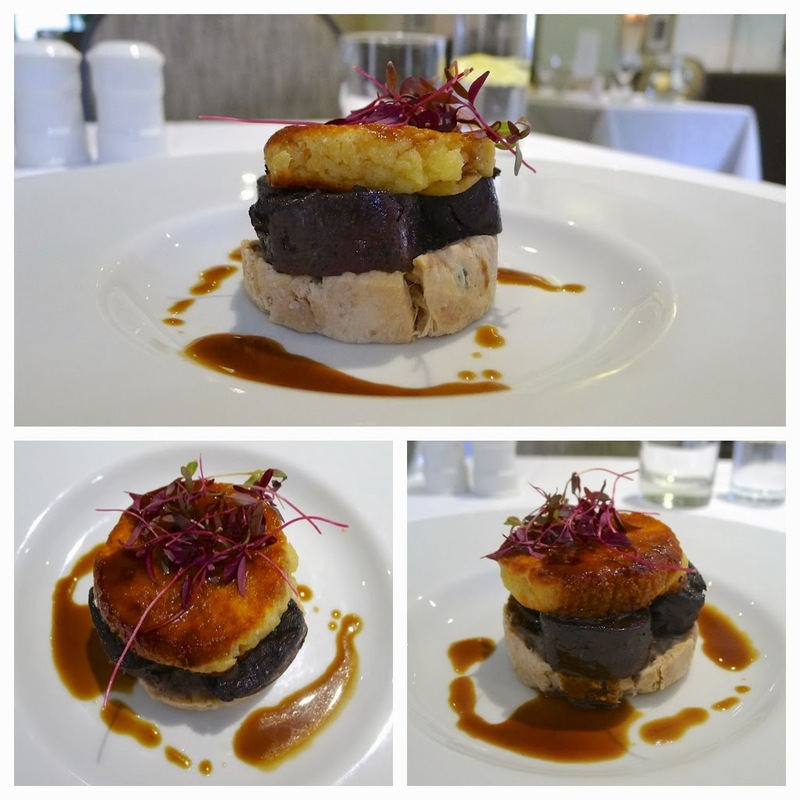 Whenever and wherever I eat, I want my food to be two things, ‘well cooked’ and made from ‘quality ingredients’. 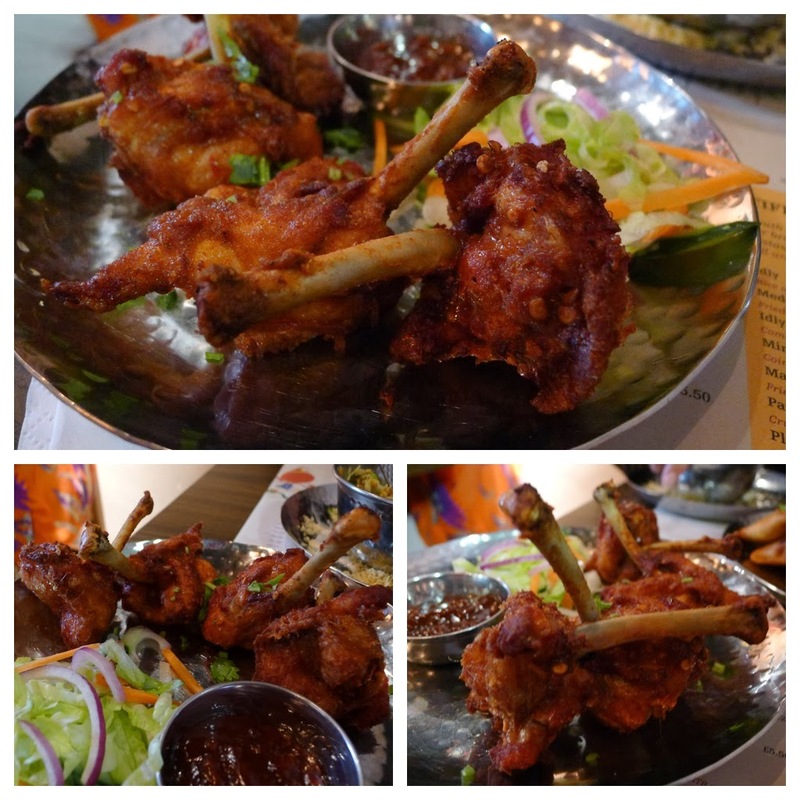 When having a meal from a culture and cuisine that is not “my own”, say, Japanese, Mexican, Italian or Indian, I typically want the food and experience to be “traditional” and “authentic”. 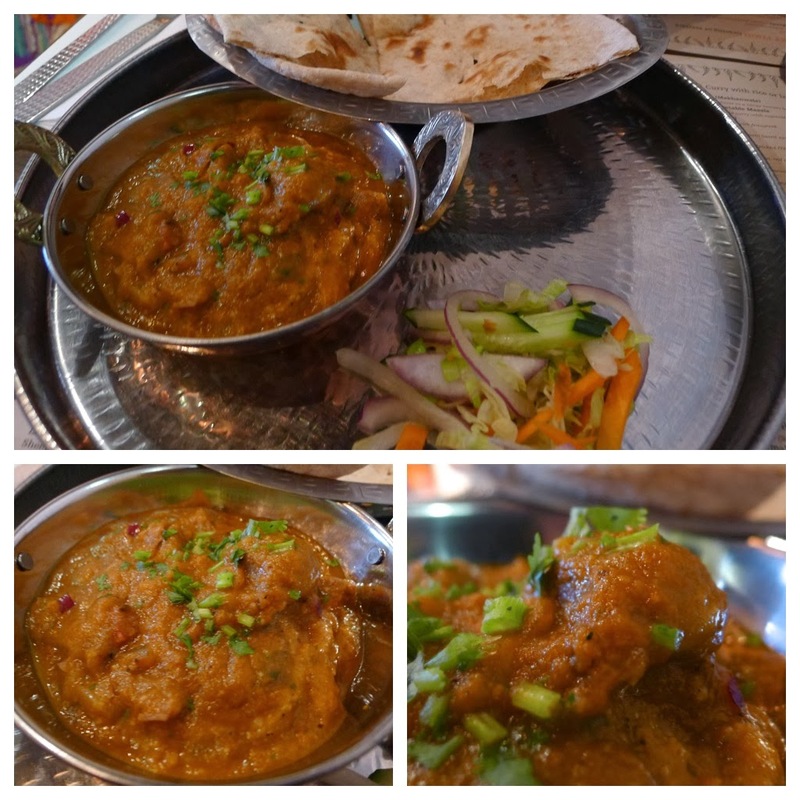 “Traditional” Indian (usually Bangladeshi) and Italian restaurants are ten a penny… whilst some may argue there is still a place for the stereotypical “Curry House” it is usually late at night after several drinks. 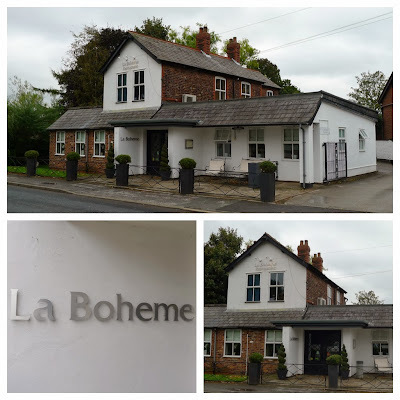 “Authentic” on the other hand is an altogether different beast – and, in my opinion, despite one or two notable exceptions, there are not enough good quality eateries serving “authentic” Japanese, Mexican, Italian or Indian cuisines… certainly not in the North West. 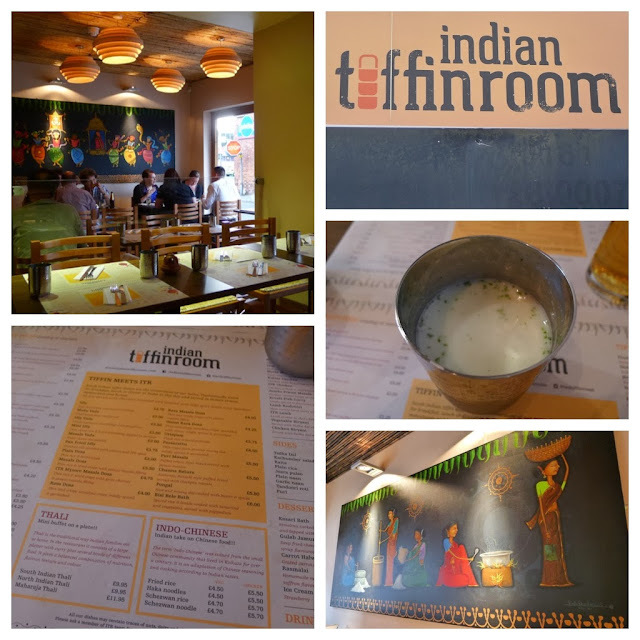 This brings us to, the Indian Tiffin Room in Cheadle, which is just ‘around the corner’ from where we live in Cheadle Hulme. It’s a great little place; and, more importantly, one of a growing number of “Indian Restaurants” that are putting a modern twist onto “authentic Indian street food”. We visited back in early August and have been intending (trying) to go back… but it’s always full! For the owners (and sensible people who have the foresight to book) this is a good thing… for us, it's a pain in the neck (and we fall back on our old favourite, Seven Spices). 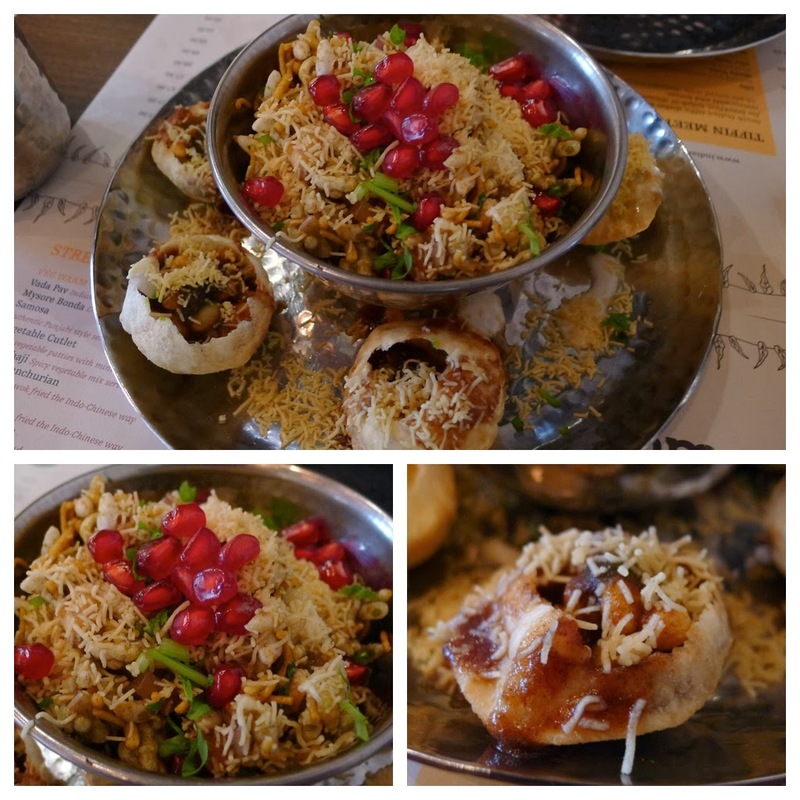 Behl Puri, Dahi Puri & Sev Puri. 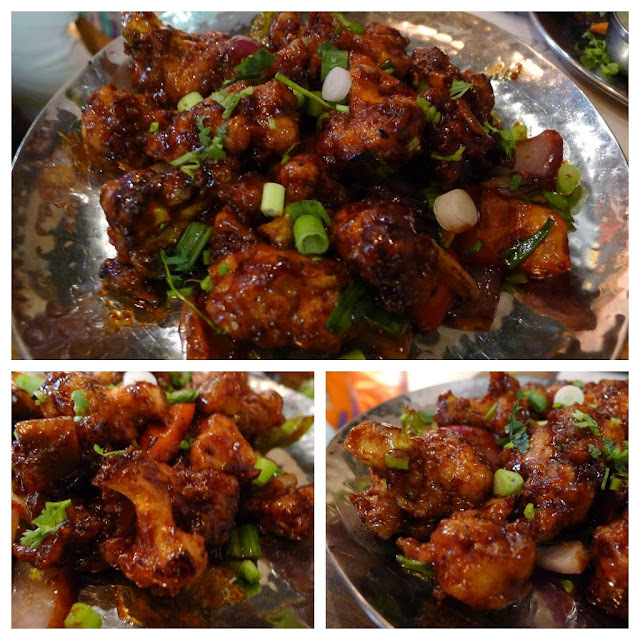 Cauliflower - wok fried the Indo-Chinese way. Thin & (too?) 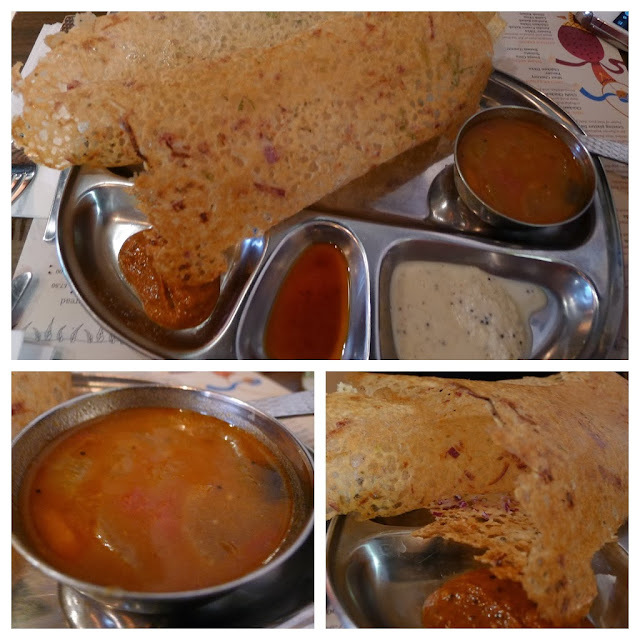 crispy semolina crepe, sprinkled with onion. 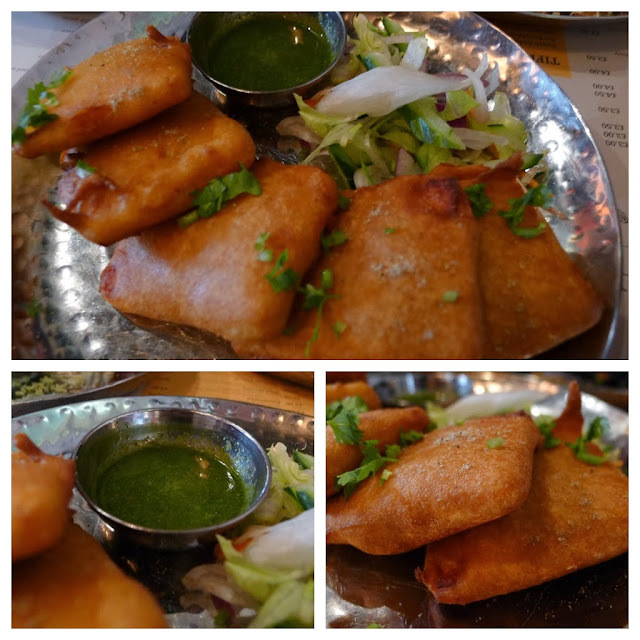 Batter fried homemade cottage cheese with mint chutney. 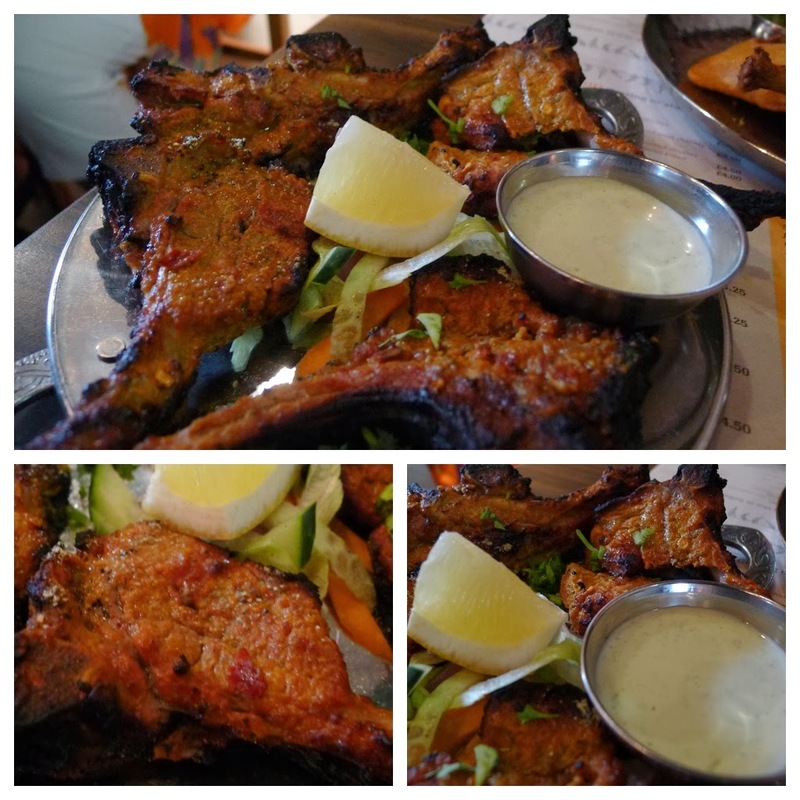 Lamb cooked in chef’s lamb curry with intense flavours. Grated carrot cooked in condensed milk. 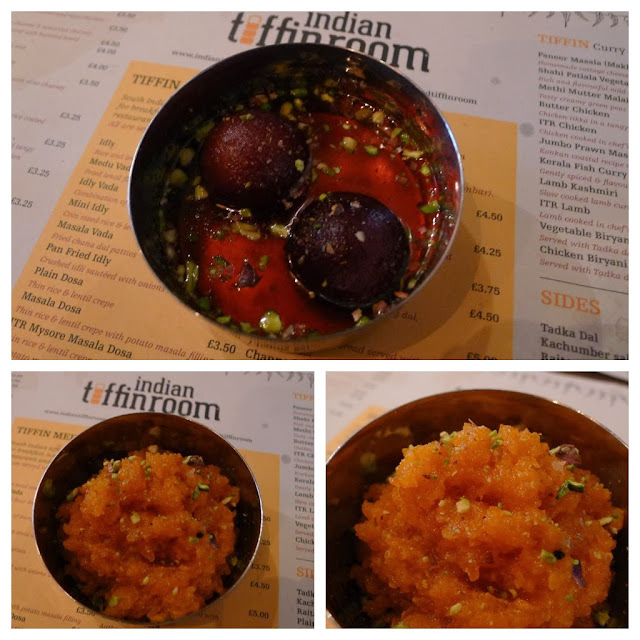 What I like about The Indian Tiffin Room (and places such as Mughli) is that with their menu and presentation (not just of the food but overall styling) they seem to be trying to stand out from the crowd and move away from (challenge) people’s perceptions of the “traditional” whilst retaining "authenticity". Thanks to @media011 for the recommendation. La Boheme is a long established French restaurant in Cheshire’s leafy Lymm. Décor / ambience / service: I found the décor a little dated but charmingly so as opposed to embarrassingly so. The crockery, cutlery and glassware had seen better days. 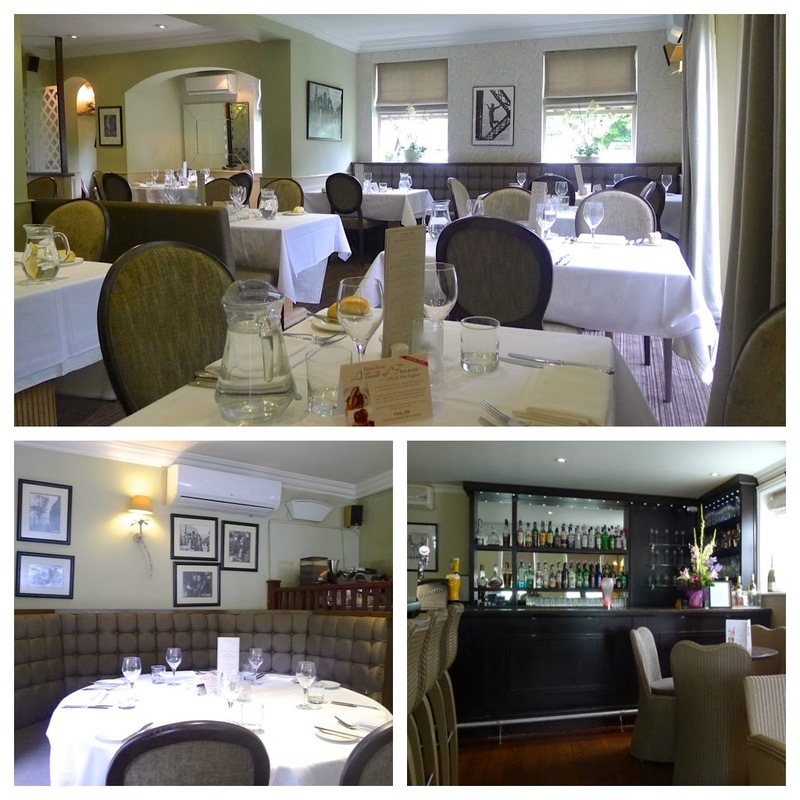 Although I visited for a quick lunch with only a couple of other tables occupied, it was clear to see how the welcoming informal service would make for a friendly family run atmosphere; this, no doubt, has contributed to their loyal local following and impressive tally of positive Trip Advisor reviews. 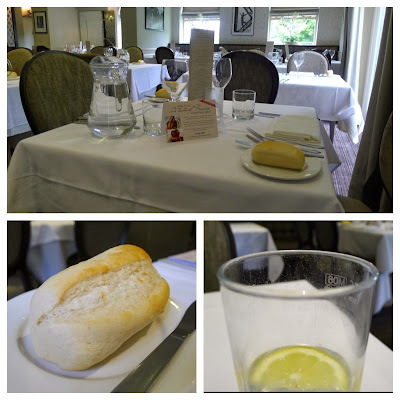 I passed on the bread roll; I don’t like how they are preplaced on each of the tables. ‘Porc Facon Anglaise’ Layers of sliced French black pudding & pork rillette, topped with mature cheddar rarebit, oven baked until gratinated and served with a thyme jus – the black pudding was good but the rest of the dish was a series of disappointments; the biggest one being the rillette served too cold and under seasoned for my liking. 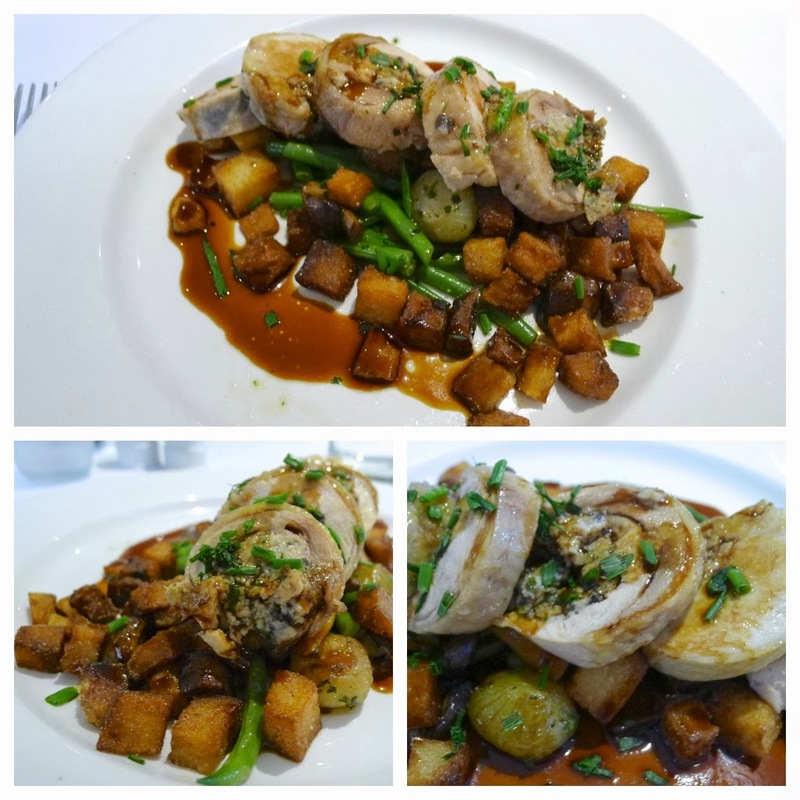 Ballotine of Guinea Fowl stuffed with wild mushrooms on green beans, mushrooms, carrots, shallots & diced potatoes with roasted garlic jus – the ballotine was good but not enough so to make up for the squeaky green beans and dry, overcooked potatoes. 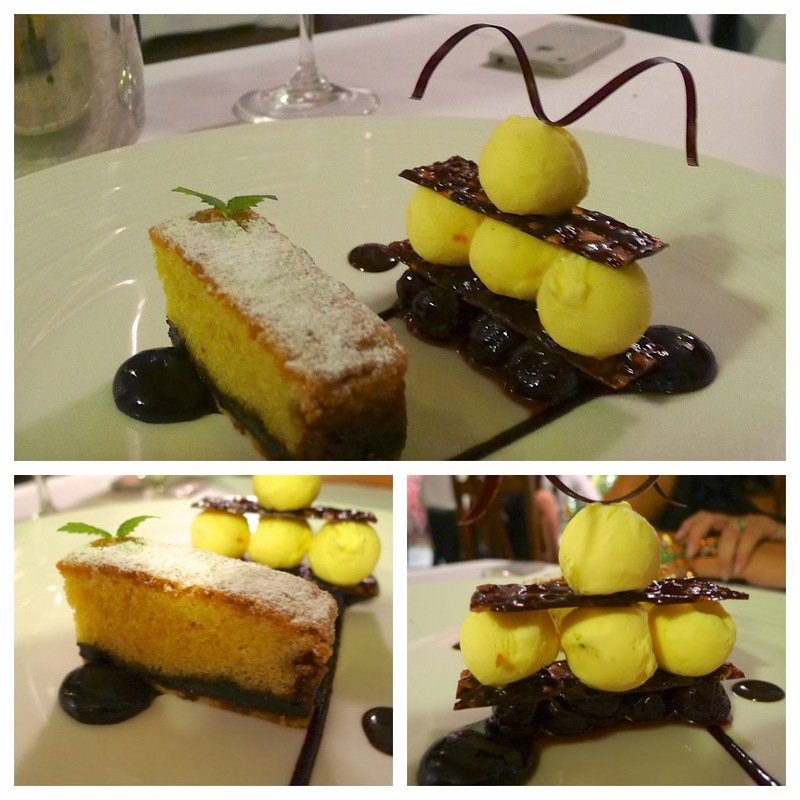 Not overly impressed with the starter and main, I decided to skip dessert. Verdict (Would I return? 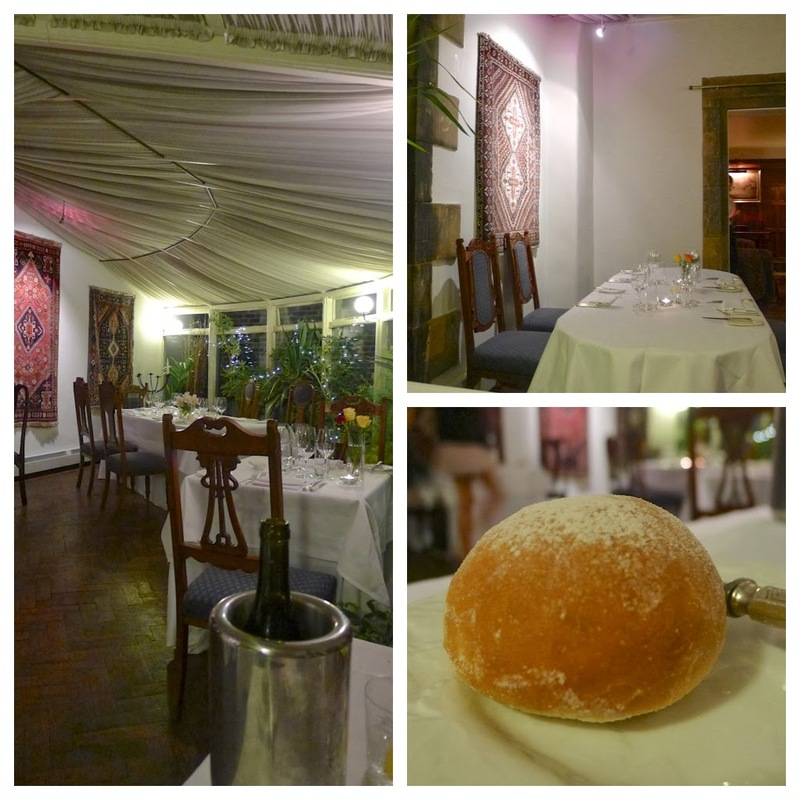 ): I’d perhaps give it another go one evening for the ‘atmos’ but fear the food will still not live up to my expectations. 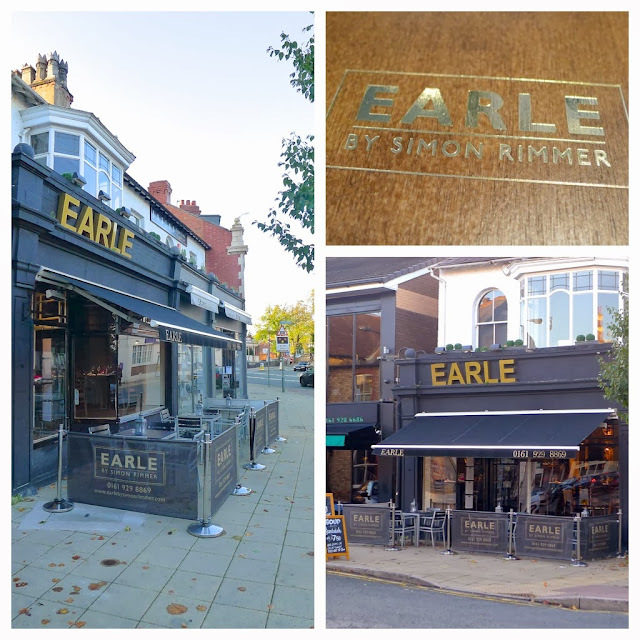 Despite enjoying previous visits (see here), it’s been a couple of years since I have eaten at Simon Rimmer’s EARLE in Hale - I am pleased to report that since my last meal there, the food has really come on and stepped up a notch. Helming the kitchen, young head chef Eddie Saunders (an alumni of Northcote Manor) is producing gutsy, uncomplicated food with flavour and produce at the fore. 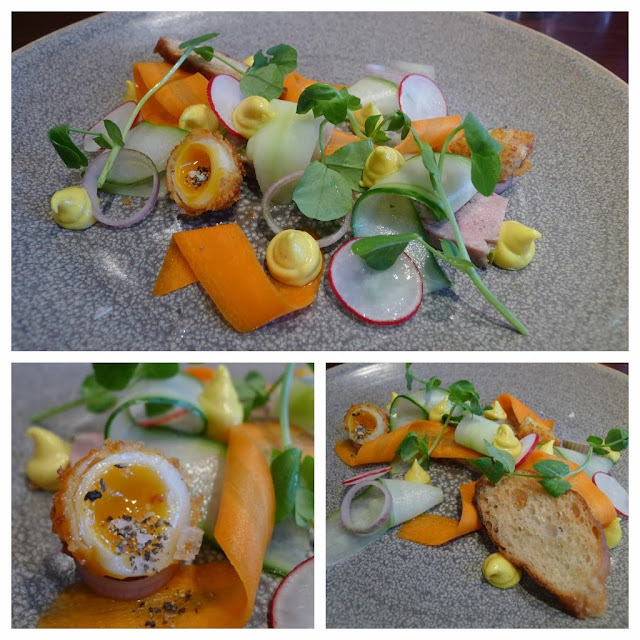 Ham hock pressing, piccalilli vegetables, crispy quails egg and bread crisp – despite looking the part and ‘working on paper’ this dish did not come together for me. I felt there was far too much harsh mustard mayo; even trying to eat around it, did not do the trick – I’m pleased to say, this was the only disappointment of the day. 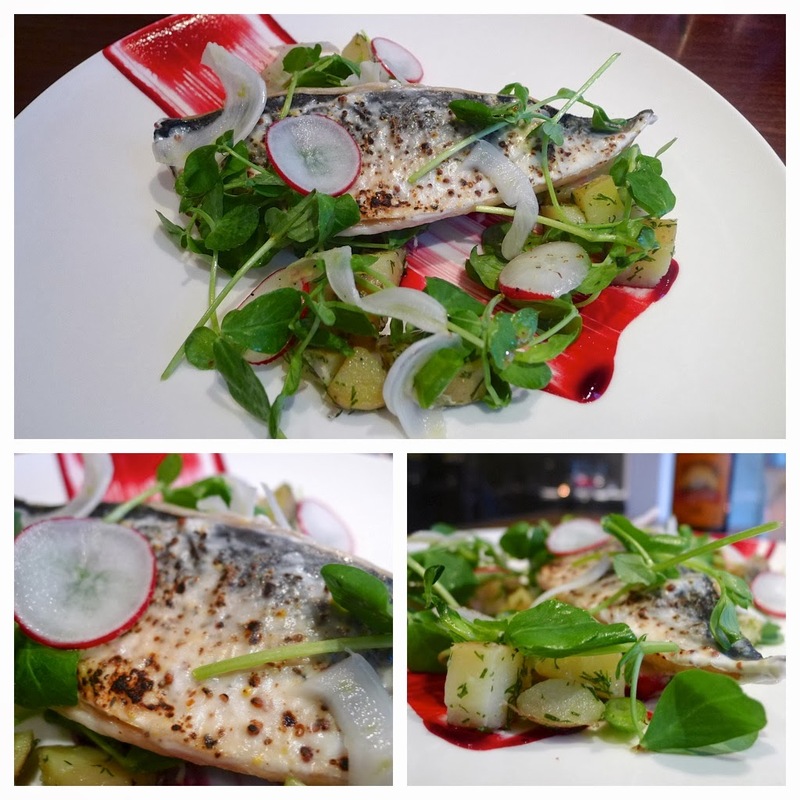 Scorched mackerel fillet marinated in mustard yoghurt, horseradish potato salad – a beautiful looking plate of food with wonderful vibrant colours; I enjoyed the seared mustard yogurt but, nit picking as it may be, I felt the horseradish in the potato salad could have been more prominent. Slow braised BBQ short rib of beef, Simon’s Boston beans with pancetta and coleslaw – although at first this dish seemed a little out of place on the menu, its bold flavours and sticky sweet goodness more than justified its inclusion. 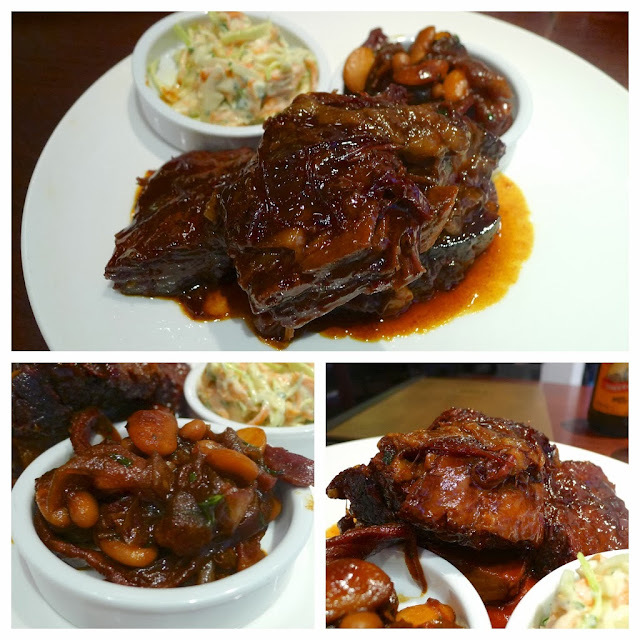 I found a Simon Rimmer recipe for Boston beans online (see here); I’ve not tried it out at home yet but I reckon they will go down a treat at this year’s bonfire night. 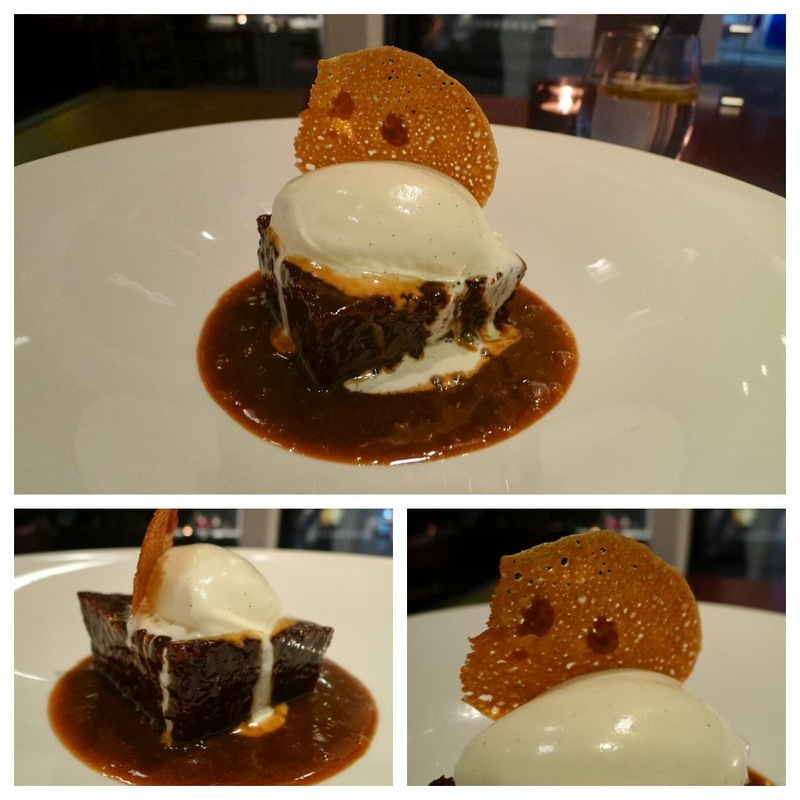 Sticky toffee pudding, toffee sauce & mascarpone cream – a classic dessert, done well. 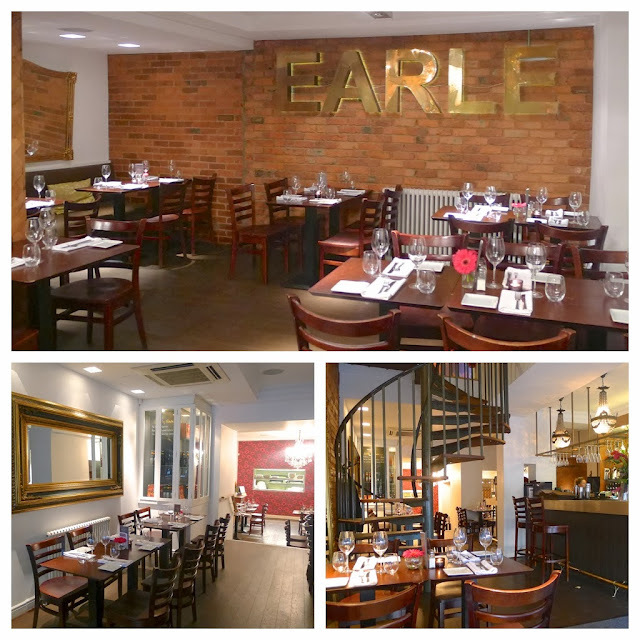 Disclaimer: the good people at Earle were kind enough to sponsor me in my recent weight loss; as such, they knew I was coming (to collect they sponsorship) and kindly provided two complimentary courses. 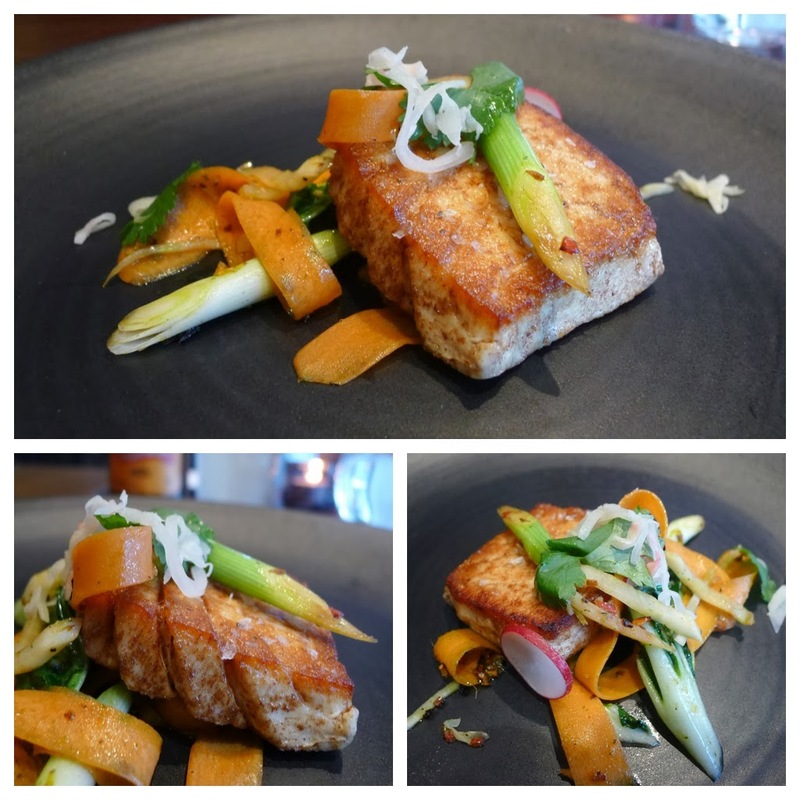 Halibut with oriental spices – a lovely piece of fish with well balanced spices and use of sesame oil; I particularly enjoyed the crunch of the vegetables. Pork fillet with oyster mushrooms & (a delightful) toffee apple – a delicious heartily flavoured autumnal dish, without being too heavy. The toffee apple added just the right amount of sweetness. 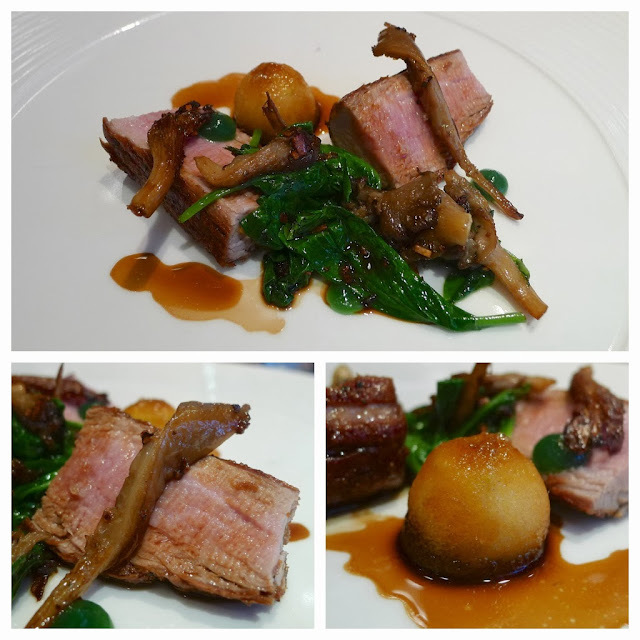 With the pork cooked beautifully, retaining a little pinkness with flavoursome caramelisation on the outside, this was the “dish of the day” for me. Verdict (Would I return? ): It was over two years since I last returned; based on the quality of the food I ate this time, I’m certain it will not take so long for me to revisit this time. In my opinion, for the first time, EARLE is now a local restaurant truly befitting and worthy of Simon’s high profile, as opposed to one simply relying on it. Every year on our wedding anniversary, I often try to think a little out of the box when planning a celebration related to the traditional and modern gift ideas. For example, the suggested gifts for two years of marriage are ‘cotton or straw’ (traditional) and china (modern). As a surprise for my wife I arranged for a limousine to pick us up, complete with strawberries and champagne, which took us to our favourite Chinese (china) restaurant and then onto Cottons Hotel & Spa in Knutsford. This year (our eleventh) the plans were not so extravagant. The traditional gift for eleven years is ‘steel’ – knowing my wife would not be happy with a stainless steel toaster or some cutlery (although, I would have been more than pleased with a Perceval Le Français folding table knife with a Damascus blade and a juniper handle – hint), the plan was simple… a meal in the ‘Steel City’ of Sheffield. There is only one restaurant in Sheffield that holds a Michelin star – Tessa Bramley’s ‘The Old Vicarage’, so the choice was simple. 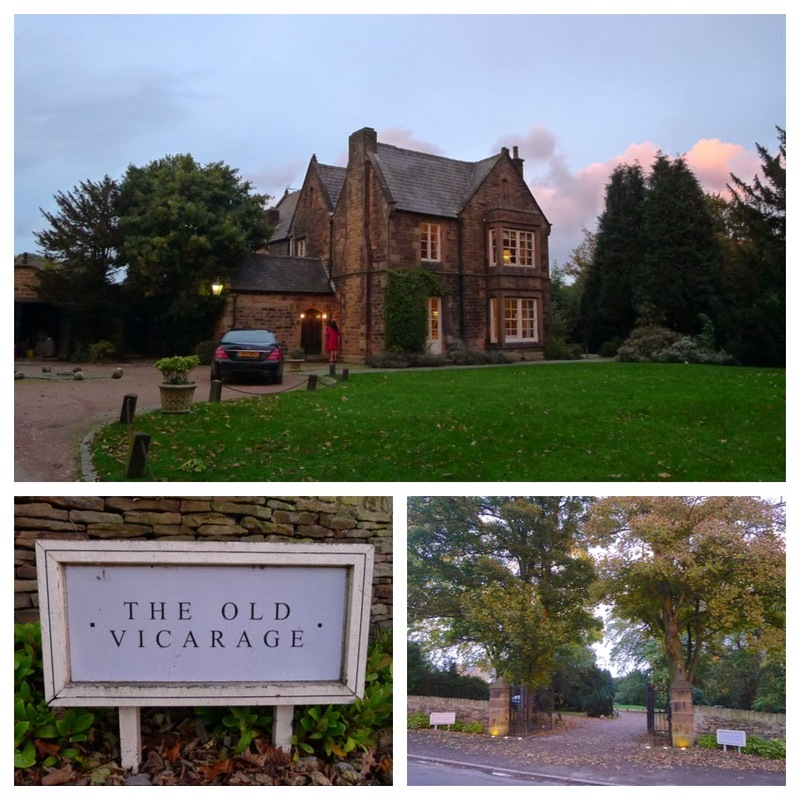 Despite having held a star since 1998 and only being an hour and a half away, from our house, The Old Vicarage has not been near to the top of my list of places to visit but the ‘steel’ anniversary gave us the perfect excuse to give it a try – and we are glad we did… mostly. It would be easy to pick fault with some elements of the visit - notably the ‘tired’ (shabby) décor; school boy errors; dated plating and poor service (I don’t want to sound a grouch but servers, please leave me alone to enjoy my food and if you have to chat, do so between courses). 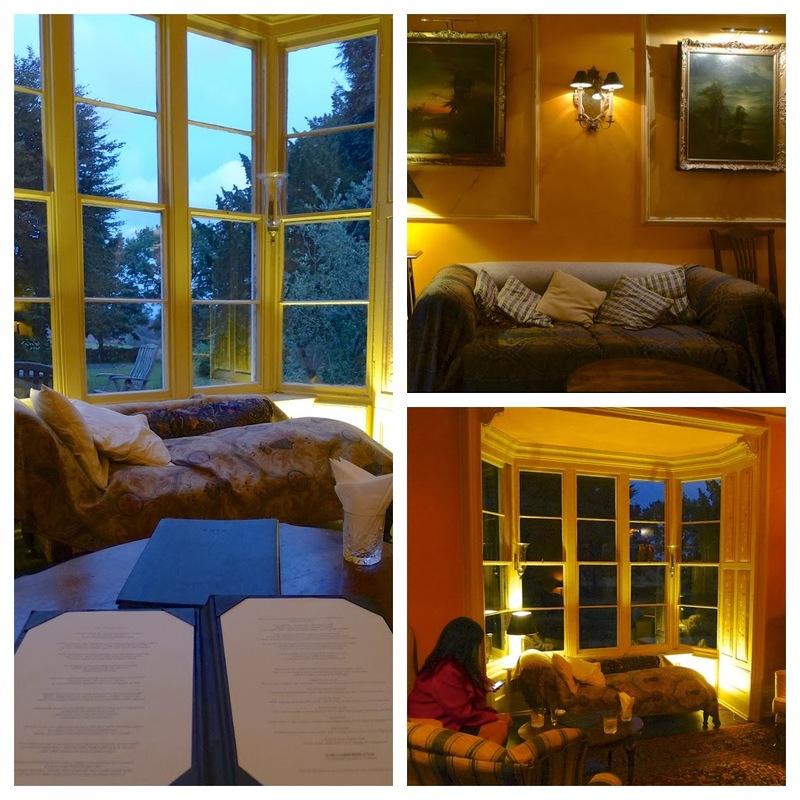 However, the truth is, despite The Old Vicarage’s faults, we still very much enjoyed our evening. 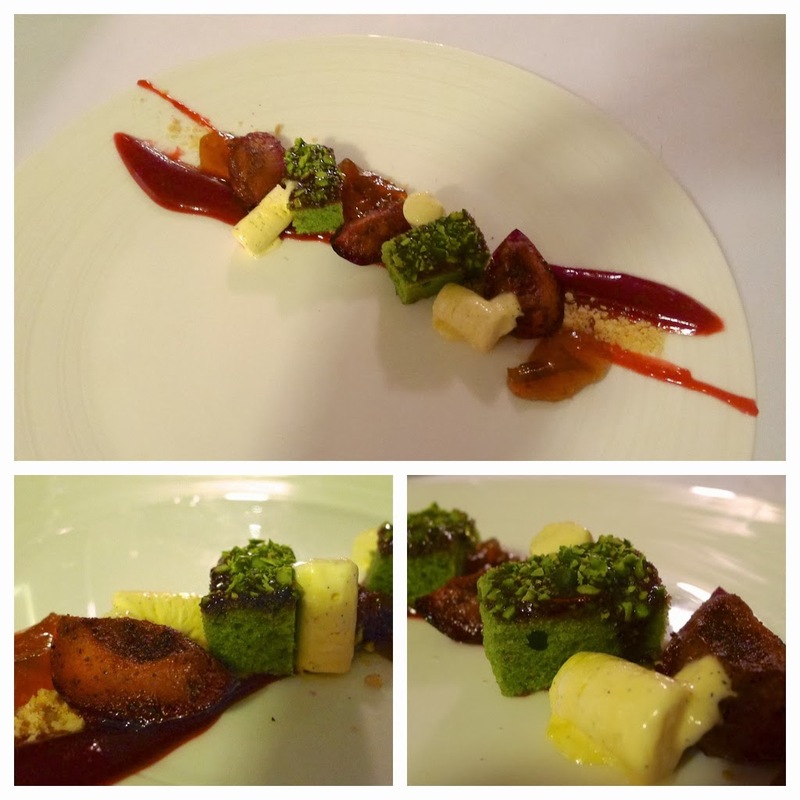 Certain elements of the food fell below our expectation of a Michelin starred restaurant but the old school cooking of the proteins and deep, rich sauces were exemplary. 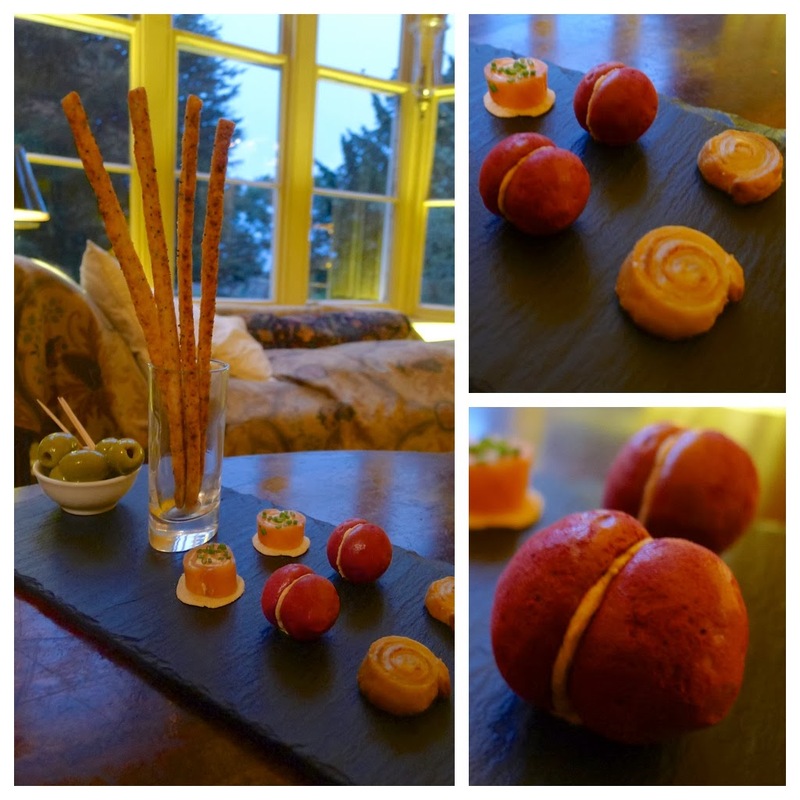 Canapés: Sundried Tomato Whirl (dry); Beetroot & Goat’s Cheese ‘Macaroon’ (delicious); Smoked Salmon & Cream Cheese Roulade (classic); Cheese Straws and Olives (good). 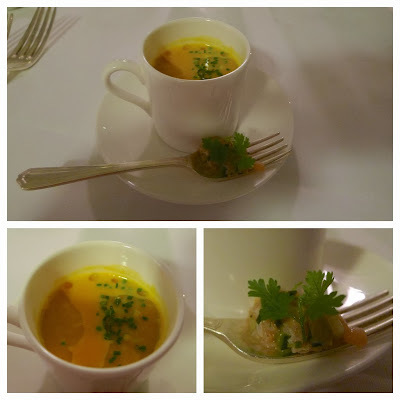 Light appetiser course: a Butternut Squash Soup with liberal lashings of white truffle oil – my wife and I like truffle oil but there was far too much for our liking as we could still taste it during dessert. The accompanying spoon of Salmon with Cucumber & Pine Nuts was ace. My starter: Roast Quail with deep fried soft quail’s egg, mushroom duxelle with pea shoots purée and pine nuts – the classical cooking on this dish and punchy flavours could not be faulted; the only element which let the dish down was the overcooked quail’s egg. 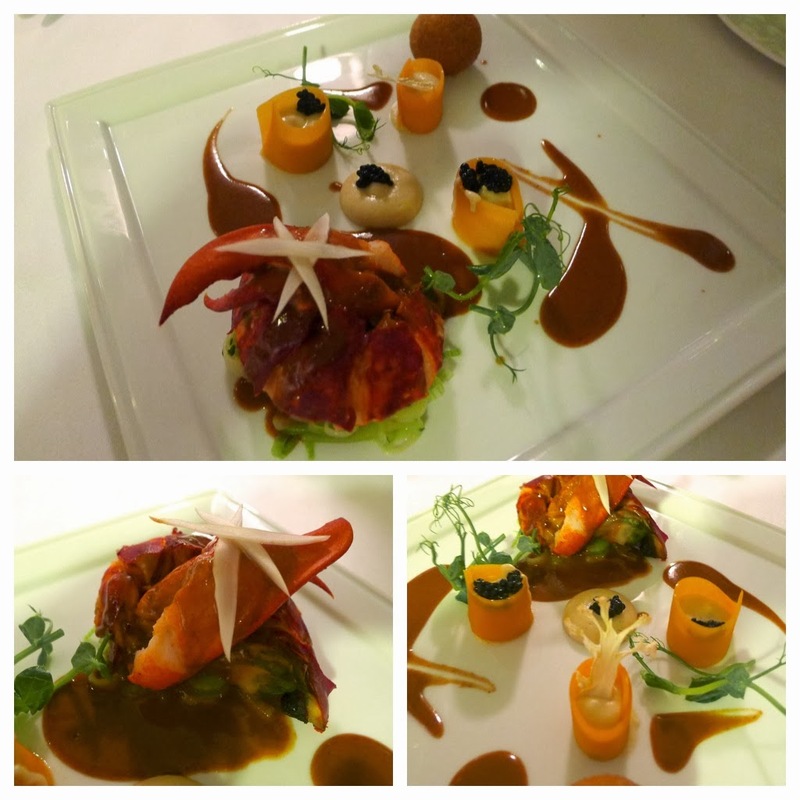 My wife’s starter: Scottish Lobster with lobster and tarragon arancini, cauliflower and vanilla cram, pickled butternut squash and caviar bisque sauce – we found the arancini to be really quite poor… decidedly stodgy; but the rest of the dish was good with an excellent rich, glossy bisque sauce. 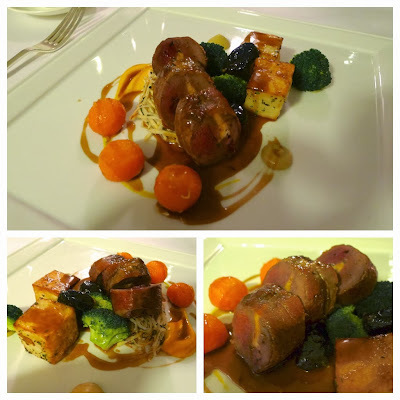 My main: Roast New Season’s Scottish Grouse stuffed with forcemeat, rosemary roasted potatoes, broccoli with prunes and lemon with crab apple and thyme jelly – once again the meat and the sauce was the star of the show; with the turned carrots adding a quirky, retro touch. 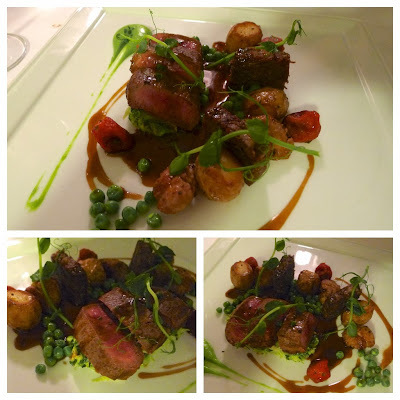 My wife’s main: Roast Fillet of Local Lamb with confit of the shoulder, baked Jersey Royals and semi-dried cherry tomatoes, minted peas, with spring cabbage and sautéed sweet breads – more proper cooking of stunning quality lamb without a water bath in sight; with the sauce and sautéed sweetbreads pleasing in particular. My dessert: Plums roasted in cinnamon and star anise, pistachio crusted sponge with spiced plum compote, vanilla semi-fredo with cinnamon crumble and pulled sugar – I ordered this dessert over another that sounded good mainly due to the description including ‘pulled sugar’, an element which was sadly not present on the plate presented to me. 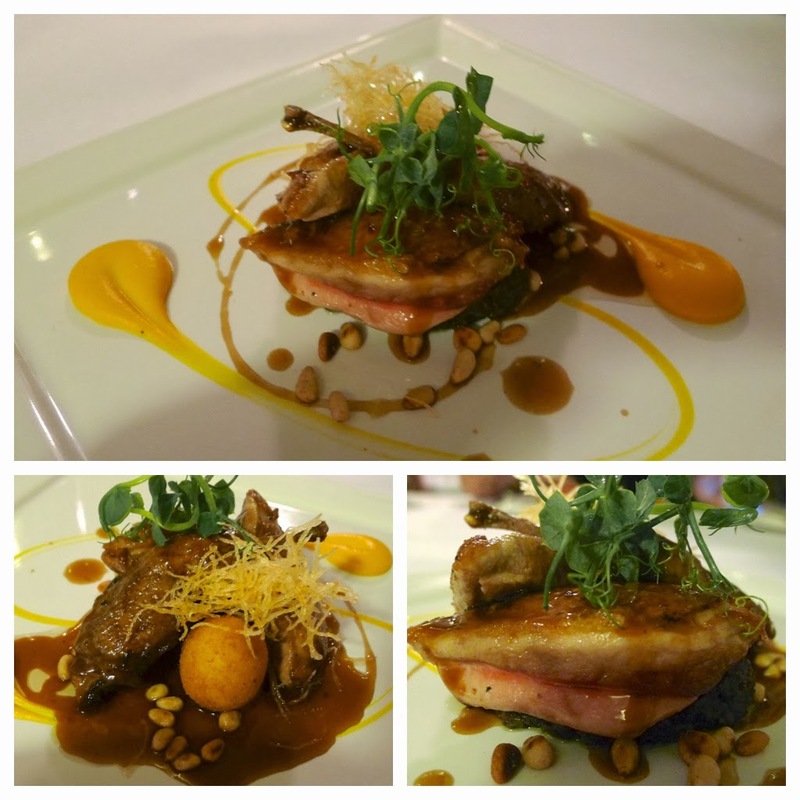 Fortunately the remainder of the dish was very good and enjoyable. My wife’s dessert: Fresh Cherry Frangipan and cherry sauce, griottine cherries in kirsch, cardamom ice cream on croquant – my wife and I both found the ice cream a little lacklustre but the frangipan and cherry components were nicely put together. 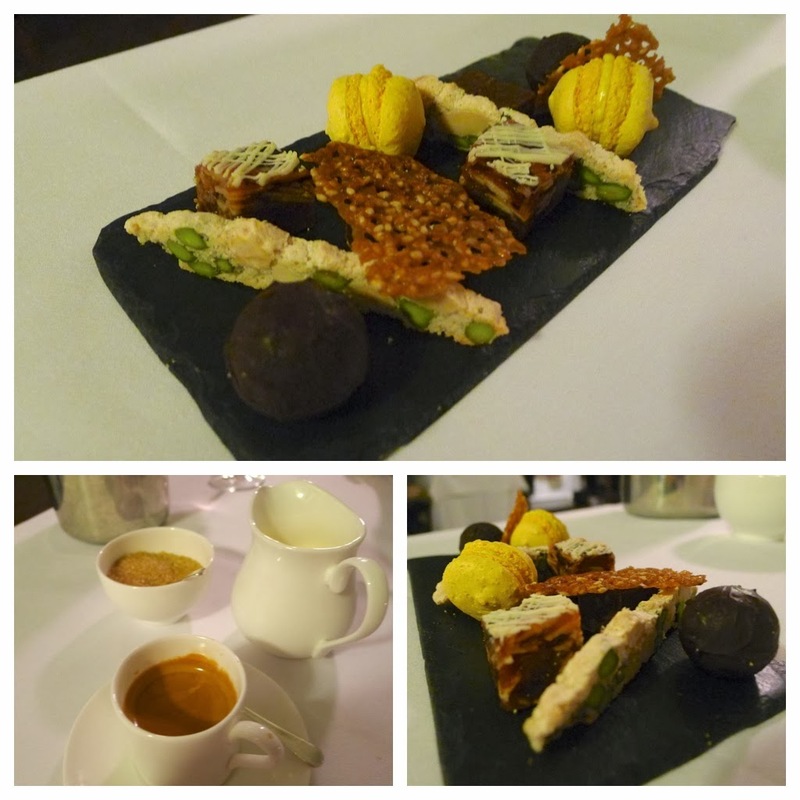 Coffee was good and the petit fours were homemade and very good. Verdict (Would I return? 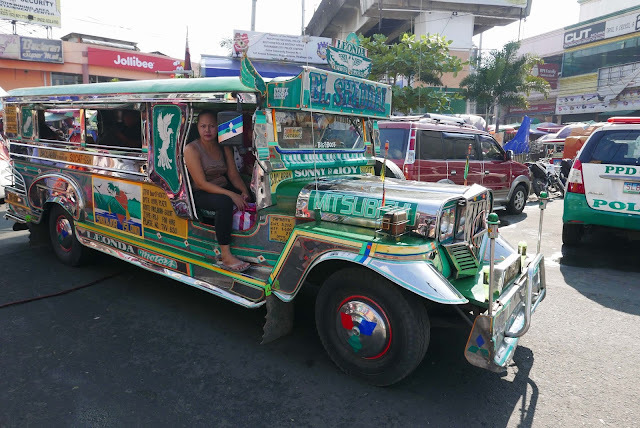 ): if we lived in Sheffield we probably would go back but now we have done it and “ticked it off a list”, I doubt we’d make the journey specifically again. 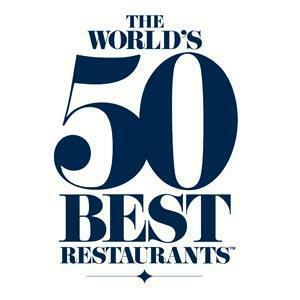 L’Enclume - "The UK’s Best Restaurant"